A collection of nine photos from nine (mostly) rainy days in Paris. Paris in the rain is not enjoyable, at least for the tourist. There is nothing romantic about walking around the city in wellington boots and an umbrella. Your feet get cold and sore. You lose the umbrella halfway through the day. It lies forgotten in a puddle in a corner of one of the thousands of boutiques you ducked into, trying to escape the drizzle. So you buy a tacky umbrella with tiny Eiffel towers plastered all over it. It is not your first choice, but it is cheap and the only one you can find in your immediate surroundings. 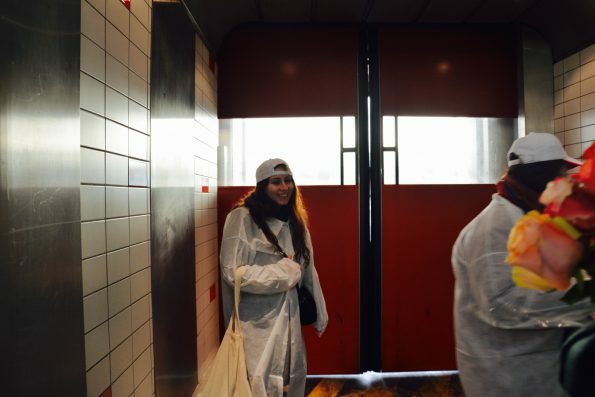 In case it was not already glaringly obvious that you are a tourist, now it is. But, Paris in the rain has a charm. It allows for hours spent exploring the catacombs of churches; for long dinners, sitting nestled in between the warmth radiated by stacks of books and patterned rugs. 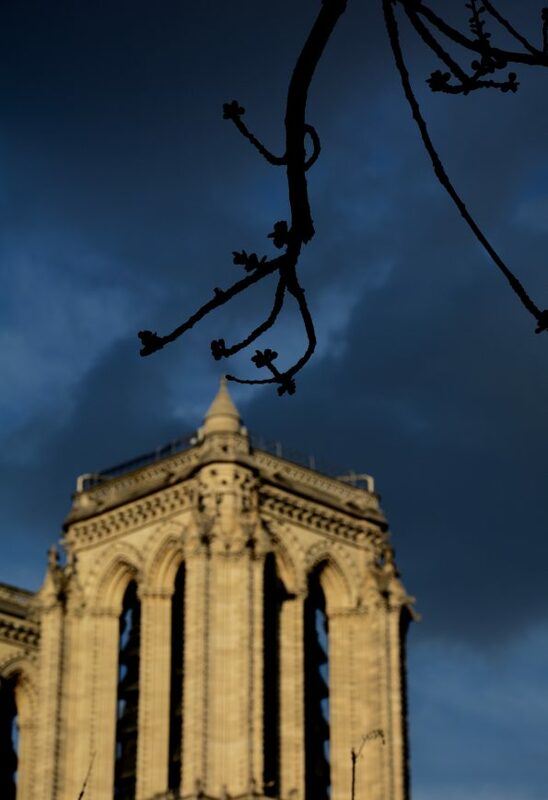 It creates sighs of wonder, when the sun emerges for a brief second at sunset and illuminates the towers of Notre Dame. The rain offers an excuse to take an Uber across the city, the car-ride spent observing, through the foggy window, the blur of the famous lights of Paris. It is an excuse to pull up the neck of your black overcoat and walk with a purpose pretending to be a local (until you realize you are lost and then have to spend the next five minutes cowering under the covering of a storefront trying to find your way back). Paris in the rain is for inventing. For the writer, the thinker and the explorer. Paris in the rain is not for the tourist. 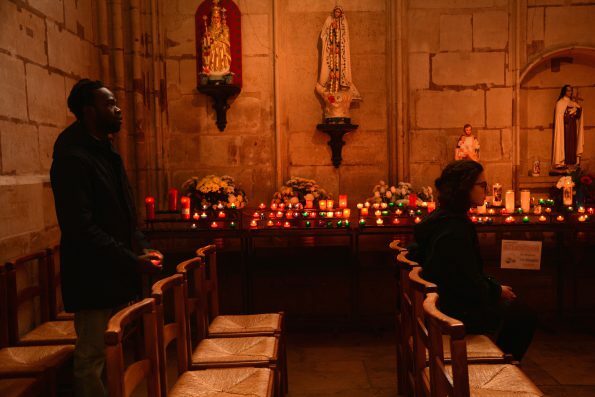 A quiet moment of reflection shared between two strangers in one of the chapels of Saint Denis. 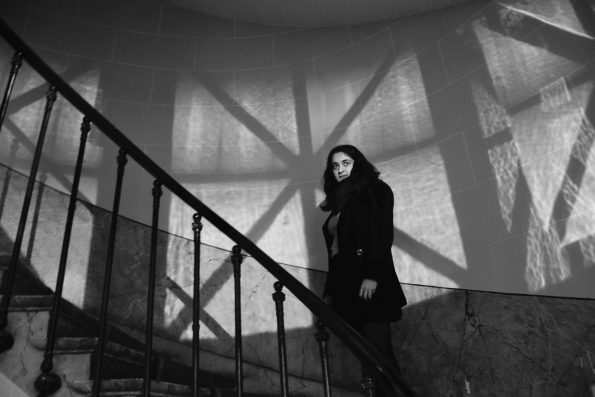 Iris Samuels makes her way up the staircase to Elaine Sciolino’s and Andrew Plump’s apartment for dinner. The lights from outside intermingled with the rivulets of rain on the windowpane make for the formation of patterns on the wall. One of the towers of Notre Dame as seen from in front of the Shakespeare and Company bookstore. At dusk, the rain finally halts and the sun highlights the tumultuous skies. Rachel Stone turns to look at a bouquet of flowers caught in the early morning light streaming in through the doors at Rungis Market. 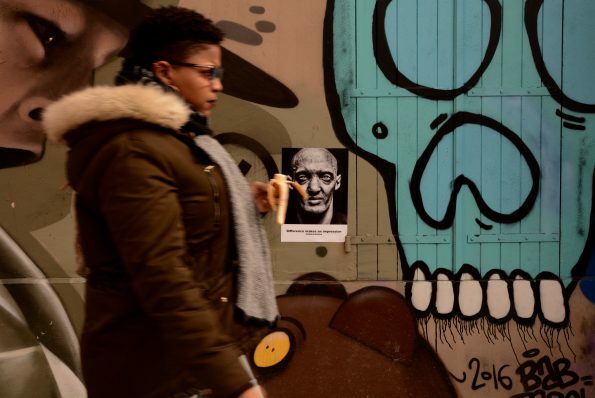 A woman walks past a mural in the 19th arrondissement. 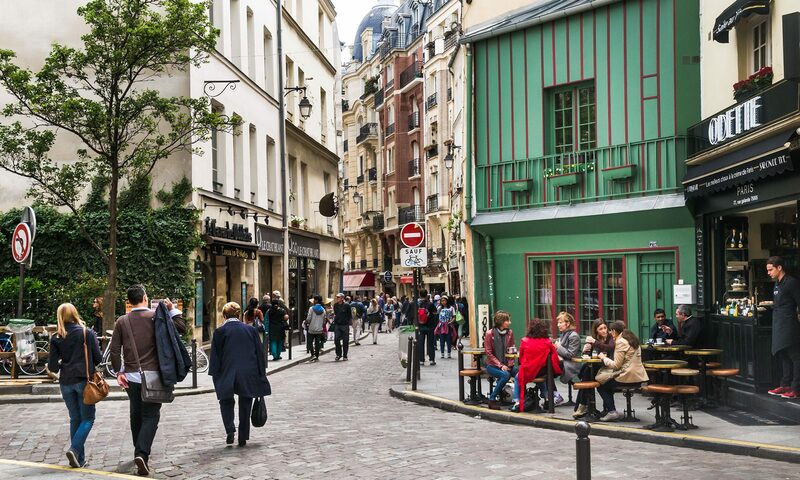 The neighborhood is quiet and laidback, home to many hip and upcoming places. 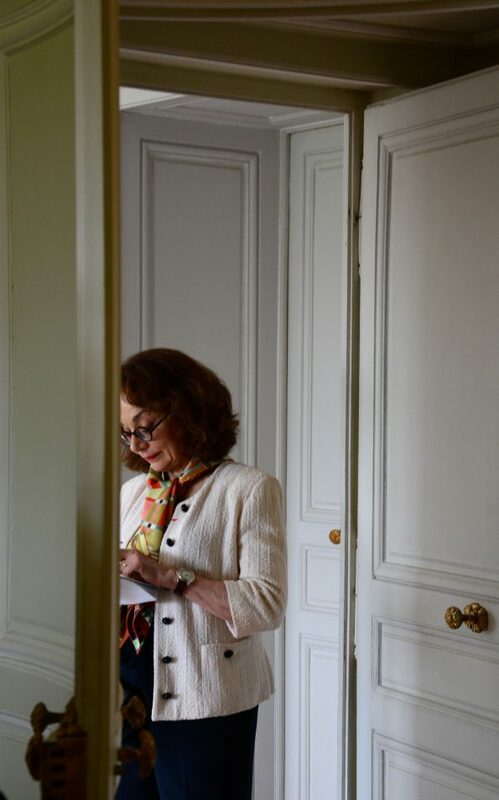 Elaine Sciolino writes in her notepad in the Petit Trianon during a private tour of the château, led by Bertrand Rondot, head curator of the Museum of Versailles. 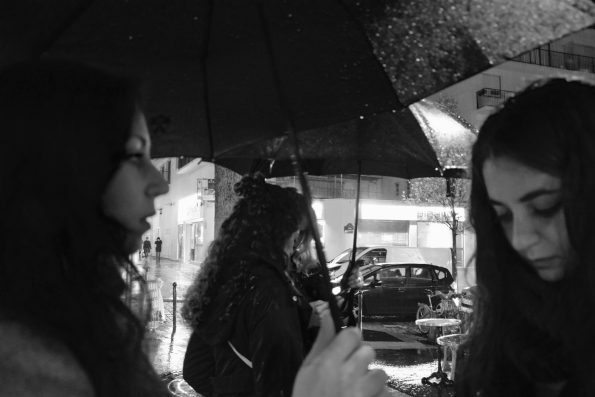 Rachel Stone and Iris Samuels huddle under the cover of an umbrella looking at a map on their phone. They realize they have gotten lost on their way to the restaurant for dinner. Katherine Trout leans against the seat of the Uber, captivated by the scenes of Paris at night flashing by through the rain-fogged window. 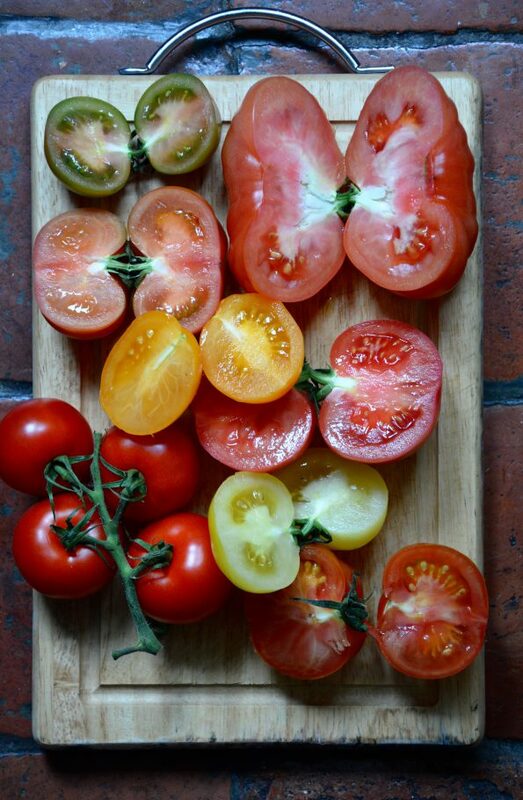 A collection of different types tomatoes, bought from a vendor on the Rue des Martyrs.